The Broward County Sheriff's Office released surveillance video of a fatal robbery that occurred in North Lauderdale on Tuesday. The father of two Parkland school shooting survivors was fatally shot at his own North Lauderdale convenience store during a robbery, according to the Broward County Sheriff's Office. Ayub Ali, a father of four, died Tuesday. Just five months prior, his son and daughter survived the mass shooting that killed 17 and injured 17 others at Marjory Stoneman Douglas High School. According to a BSO report, Lauderdale Lakes BSO deputies and Tamarac Fire Rescue paramedics found the injured 61-year-old store clerk when they arrived at Aunt Molly's Food Store, located at 1691 S. State Road. Ali was transported to Fort Lauderdale's Broward Health Medical Center where he was pronounced dead. The suspect forced Ali to his store's back office, where he was shot. 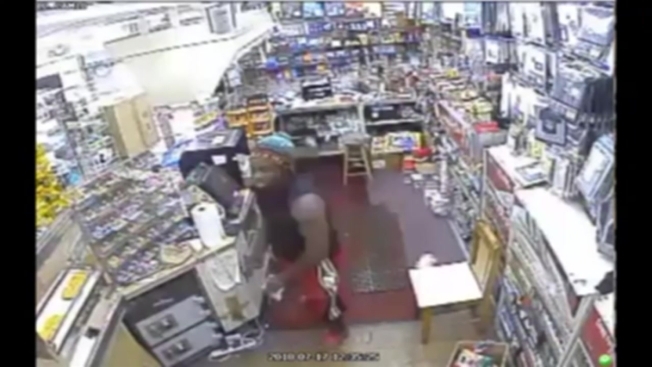 Police are looking for the robber who killed a store clerk in North Lauderdale. Ayub Ali was the father of two who survived the shooting in Parkland. NBC 6's Stephanie Bertini reports. "He took money from the cash register and left. The thief returned shortly after and shot Ali," BSO said in a statement. "The suspect wore a black vest, reddish-orange shorts with a black and white stripe on the sides, reddish-orange slides and a skull cap with 'Miami' stitched on the front." The convenience store reopened Thursday and loyal customers placed a makeshift memorial for Ali, who was born in Bangladesh. 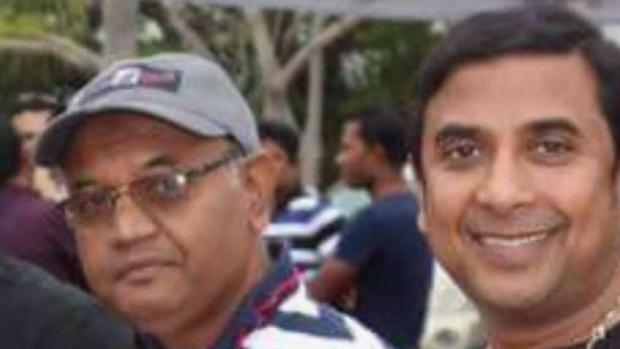 Parkland's Bangladeshi community has stepped up to support Ali's widow and children. On Feb. 14, Ali's daughter was in a classroom in MSD's 1200 building, where the massacre occurred, according to a family friend. One of his sons also was at the school. "This is the biggest part that hurts me. 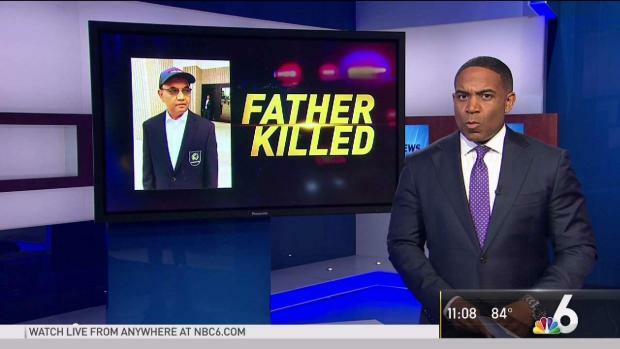 They have to be without their dad for the rest of their life," Ali's friend Alex Rios told NBC 6. Anyone with information is urged to contact BSO homicide detective James Hayes at 954-321-4231 or Broward County Crime Stoppers at 954-493-8477. Anonymous tips that lead to an arrest are eligible for a reward of up to $3,000. UPDATE: A suspect has been arrested in connection to the fatal shooting of Ayub Ali. Officials said releasing surveillance video helped lead to an arrest. NBC 6's Steve Litz reports on the fatal shooting by an armed robber of a father of students who survived the Parkland school shooting.